With Valentine’s Day just around the corner, it’s the perfect time to consider how to incorporate the hues associated with this holiday into your decor — especially given that red is having a major 2018 moment. That said, as pretty as rich, velvety reds and pinks are, they’re not necessarily the easiest colors to integrate into an aesthetic. But just because something isn’t easy doesn’t mean it isn’t entirely doable. In fact, pink and red can be incredibly chic and energetic complements to virtually any aesthetic, you just need to know how to apply ‘em. Whether you’re decorating for a V-Day party, a romantic night, or you simply want to add a pop of rich color to your design, the following ideas will show you exactly how to do it in style. One of the awesome qualities of these hues is that they carry a lot of weight on their own, so you only need a little to make a big impression. This home office is completely transformed thanks to the simple addition of red-painted shelving. But just because a little will take you far, doesn’t mean that more won't take you even farther. If you’re feeling particularly bold, consider painting a room in millennial pink and pairing it with a red sofa for an eye-catching pop of personality, like blogger Sarah Akwisombe. Don’t listen to outdated advice telling you red and pink can’t live together in harmony. 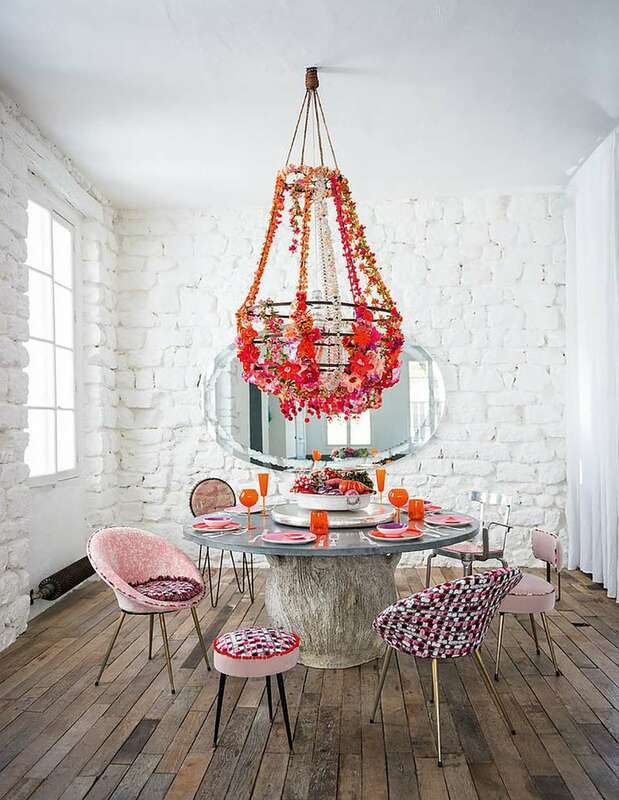 Take notes from Decor8 Blog; As this eclectic design proves, pairing the two together actually makes for an incredibly dynamic design. There might be no better color to make a stunning statement then a red accent wall, as shown by HomeDsng. It not only instantly renews the energy in your space, but it makes such a strong impact that you won’t need as much decor to create visual intrigue in your design. Perhaps pink isn’t the first color that comes to mind when considering a new sofa, but it ought to be. 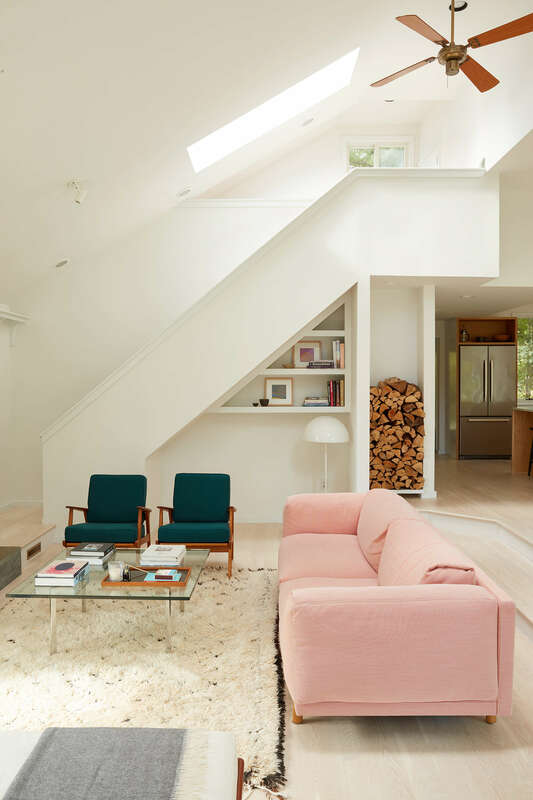 If you’re rocking a white-dominant color palette, consider juxtaposing a pink sofa with jewel-toned hues for a surprisingly chic and contemporary space, as shown by Remodelista. A lot of people don’t realize just how much power your bath towels hold when it comes to accentuating your design. If you’re in the market for an effortless update that will soften up the look of your bathroom with a sweet touch. Design Love Fest added a pair of blush towels like these. Just as new towels can revive the look of a bathroom, a new chair can revive the appearance of a home office. Blogger Siham showcased a chair in an uplifting hue in a mid-century design. It’s the perfect blend of form and function. If you’re looking for a timeless way to incorporate this color, then you can’t go wrong with a red kilim rug as seen on Paper & Stitch. It’ll energize your space with its rich, saturated hue at the same time it makes your design more timeless and sophisticated. Fresh flowers never fail to be a gorgeous accent, according to Doris Leslie Blau—no matter the place nor the aesthetic. Whether you get them from a loved one or you treat yo’self (because you deserve it!) to buying your own, display a fresh bouquet like this to add life and polish to your look.